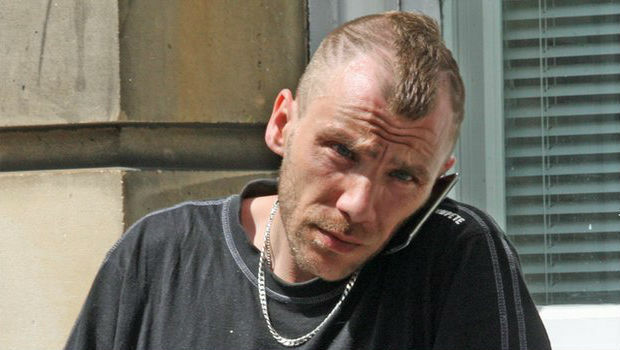 John Dobbie (pictured) from Kirkcaldy has been found guilty of attempting to murder a baby in 2011. He denied the charge and said he was just “shoogling” the three month old boy in an attempt to stop his crying. The infant, who we are not allowed to identify for legal reasons, suffered a fractured skull and was left blind and brain damaged after he was shaken and had his head repeatedly struck against a surface by Mr Dobbie. The accused contended that he was looking after the child on his own that day and had left the child propped up while he went to the bathroom and came back to find him slumped with his head against a plastic toy, crying. Jurors were told that expert evidence pointed towards violent shaking and direct impact to his head. As a result of the horrific injuries, the child now suffers from Cerebral Palsy, has limited movement and will be dependent on carers his whole life. A hospital worker said: “I have seen a cot death baby that looked better than that little boy did.”, recalling when he was brought in to Victoria Hospital by Mr Dobbie for treatment. The judge deferred sentence for background reports but told Mr Dobbie “The jury have found you guilty of this grave charge.” He was remanded in custody.